A simple boot manager, in the status bar of your Mac. 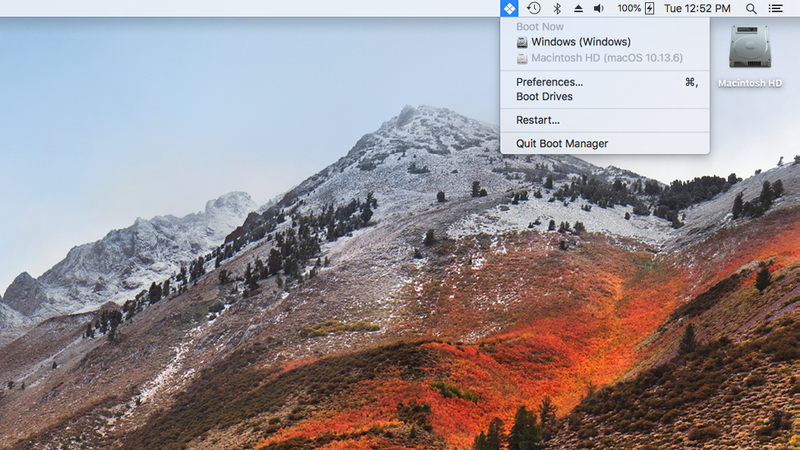 Boot Manager is a handy utility to make it easier to reboot into your Boot Camp windows drive, or even another macOS install. It will also not permanently change your startup disk so once you reboot again, it’ll boot back to your standard OS. Quickly reboot into Windows, Linux or alternate macOS drives, no holding of option key or startup disk changing. Enable the menu bar and have quick access to rebooting to your other operating systems, like Windows or Linux. Boot Manager comes with a built-in driver that adds support for Boot Camp in EFI mode on PCI-e SSDs and SATA PCI-e controllers. Boot Manager is an application based on QuickBoot and it's open source. 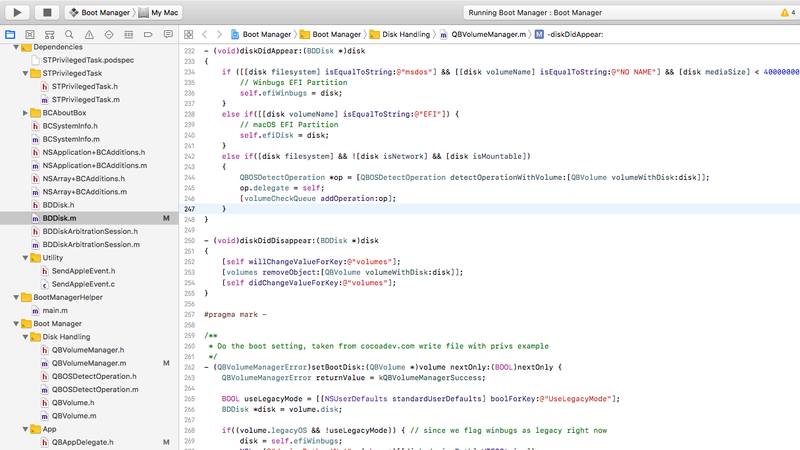 Boot Manager is a free and open source project forever. The source code is available to all people who want to contribute to the project or make derivative works based on Boot Manager, all this for free and without asking for permission.